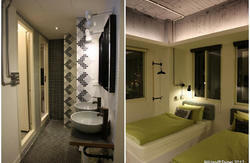 Banana Hostel is a lively, cheerful, stylish cool place, everybody can feel warm, happy and friendly atmosphere here easily! Banana is near by MRT Dongmen Station. We have different room type, big common room, clean bathroom, and everything contained kitchen. You can be here with reasonable price and enjoyable stay. This is the best start point to discover Taipei! Hope you\'ll fall in love this vibrant city and lovely banana! We provide simple breakfast and wifi. Don\'t worry about not having a laptop traveling with you, we provide a public computer that you won\'t miss any important email and also you can contact your friends in every corner of the world telling them you are just staying in such as an amazing place in Taipei. We provide coin washing machine for the travelers with free detergent. As our name, we also provide fresh bananas every morning and home-made banana bread in every weekend. 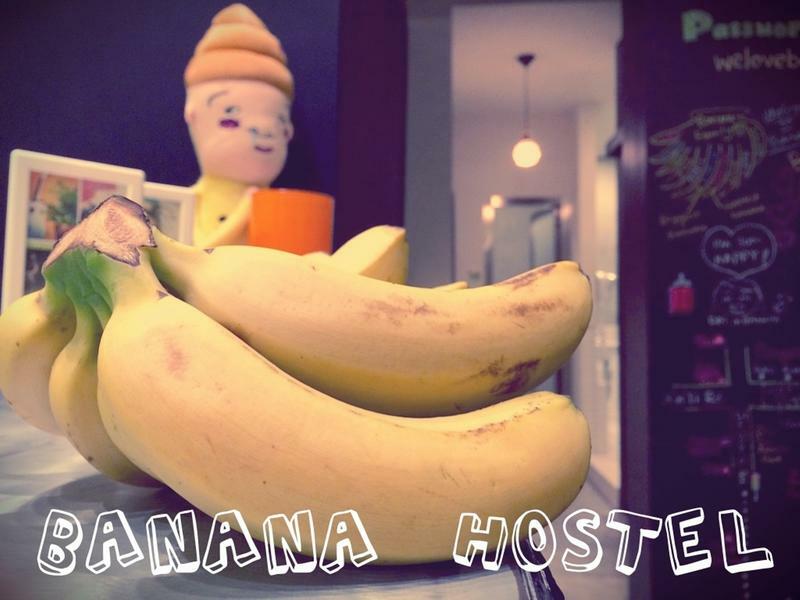 If you are a bananaholic, we believe Banana Hostel is just the best choice you make. If you'll arrive from Taoyuan International Airport, you could take a taxi directly to Banana Hostel, it cost about TWD.1300, but it's cheaper to take the buses. It's about 50 minute to take a bus from the airport to Taipei Main Station, then transfer to MRT red line, there is only 3 stops you’ll be at Dongmen Station, where is very near by Banana. You can purchase bus tickets before boarding at ticket counters, which are located in the Arrival Passenger Reception Areas of both Terminals of the airport. There you can also find free travel info and maps. Take Kuo-Kuang Bus No. 1819 or City Air Bus No. 1601. They both go to Taipei Main Station. The attendants speak English and can help you to buy a bus ticket, which costs under $150 Taiwan dollars (US$5). Take the MRT from Taipei Main Station bound for Xiangshan (red line) and 3 stops to Dongmen Station. Ticket fare NT$20. Go up from Exit 3 of Dongmen Station. We will email a confirmation and direction to our guests, please read the direction file when you get it, that will help you to find us easily! If coming from the airport directly by taxi, be sure to first call us from the airport to tell us when to expect you. Most taxi drivers do not speak English, so be certain to have a printout of the Chinese address and directions with you. The trip should cost about 1300 Taiwan dollars (US $40). *We also can arrange airport pick-up as needed, price and detail please contact us.